double deck trade show Archives – P.O.P. 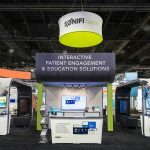 Exhibits Inc. 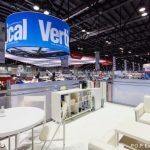 Double Deck Booths or Two Story Booths are continuing to trend upwards in 2019 for a myriad of reasons. The lead-generating and marketing tactics that can be employed using the above eye-level space are numerous. While certainly an investment, double decks can be quite cost-effective in terms of square footage. 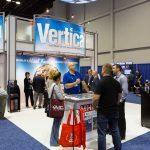 You’re paying for your trade show space, so why not maximize it by building upward to gain more square footage!? 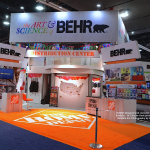 A multilevel exhibit on its own makes you stand above the competition. Literally. But in addition to a commanding show presence the extra space of the second story can have many useful purposes. These include private product demos, treating your clients to a VIP experience, or having some extra privacy to seal important deals. Extra Storage Space- You always need more than you think! Increases useable square footage without paying for more space on the show floor. Depending on the show you’re attending, space can get spendy. Instead of paying possibly thousands for additional floor space, why not build up? You can almost double your useable space with all the other benefits associated with a double deck booth. Two words: party. deck. Private cocktail lounge anyone? Party deck not your companies style? That’s ok. Create quiet meeting space upstairs instead for meeting with those VIP clients. The upper deck creates the perfect atmosphere for more personal interactions with your clients. 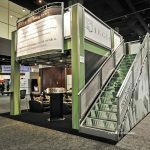 Depending on the size of your deck, multiple staircases and elevated walkways could create separate spaces for even more marketing possibilities. 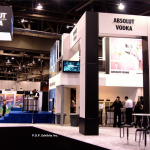 Dominating visual presence on the trade show floor from all angles and distances. 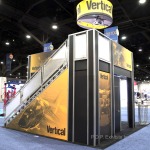 A double deck booth is attention-grabbing and literally places you above your competition. Can act as a centerpiece to hang lighting or overhead signs above. 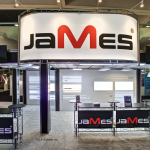 Provides billboard style display or video areas. Many of our clients choose to hang monitors on the railings of the deck that run a looping marketing video. The railings are also great for hanging large graphics. 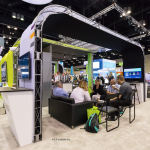 A double deck booth provides lots of potential for video walls, shelving, graphics, and light boxes. The ceiling under the deck is a great place to to display lighting if you’re attending Lightfair, for example. This client attending Lightfair utilized the walls and ceiling under the deck to display their lighting. 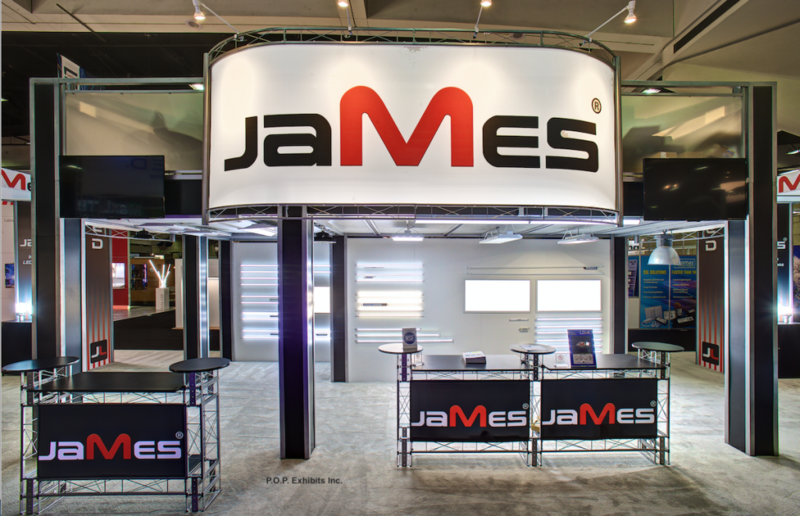 We were able to help them custom wire their lights in the backwalls, and provide remotes to control the overhead lighting to aid their product presentations. Multiple opportunities for branding on staircase, railings, lower walls. 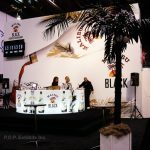 The bottom line is that there are a multitude of ways a Double Deck Booth can benefit your company. If any of these are compelling to you, check out our pre-designed kits on our Double Deck page. 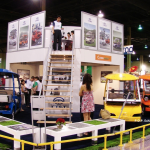 For more detailed information on pricing, check out our recent post where we break down what to expect when renting a double deck exhibit. Feel free to call us for a free double deck consultation today!